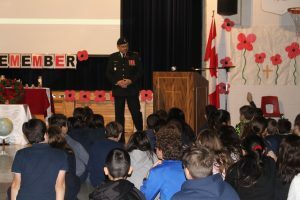 On Friday, November 9th, we were honoured to have Lt. Col. C. Jansen from the Canadian Royal Canadian Military to address our students regarding Remembrance Day. This year there was a special point to remember the men and women who served our country during the First World War. Theses Canadians fought during the final 100 days of the First World War. This happened in 1918, 100 years ago this year. Lt. Col. C. Jansen spoke to the students about the sacrifices that these men and women made to protect our country. His slide show presentation depict images of courageous and brave heroes who have fought for our freedom. 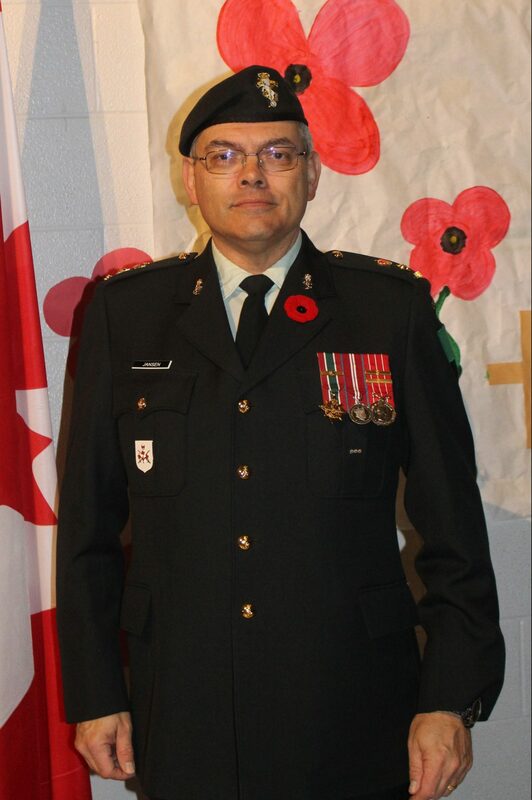 We thank Lt. Col. C. Jansen for his time and commitment.